Some people are reluctant to buy AMD cards after it was announced that Polaris GPUs will experience ETH hashrate drop soon. Combine that with the fact that RX 4xx and 5xx are no longer available for sale and you’ll see why many people decide to go Nvidia. That was indeed a great alternative some months ago, but after many miners bought Nvidia cards for their GPU mining rigs, Nvidia ran out of stock too. Nowadays, it is literally impossible to get your hands on decent GPUs fit for mining without having to pay twice the price. – The Mining P106-100 features no display outputs whatsoever and it has no backplate. Other than that, the specs are what you probably expected: the new GPU features GDDR5 6GB video memory with a core clock of 1506 MHz that can be boosted to up to 1708 MHz. The 6 PIN Power connector remains the same. 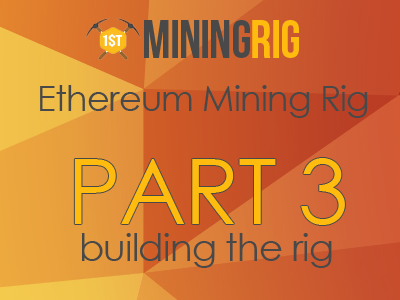 Cryptomined assembled a rig that consists of 6 MSI P106-100 Miner and then tested it with both Ethereum and ZCash. The power draw mentioned below includes the consumption of the motherboard. The P106-100 performs as a regular GTX 1060 6GB card, as we can observe. The “miner” tag on the MSI P106-100 does not mean that it is better at mining than its gaming counterpart (the GTX 1060). Same goes about the power draw – while power draw depends on the configuration (amount of overclocking and undervolting), we can say for sure that the Nvidia P106-100 does not stands too far away from the GTX 1060 either. It is hard to compare prices today, since the huge demand on mining GPUs made the GTX 1060 cost nearly twice as it used to cost before the boom. As for today, a GTX 1060 is priced $519. You can save about $100 or so if you manage to find a used one, of course. Now, the MSI P106 will cost $224 according to this site. However, I am convinced that the huge difference in price is mostly the result of the hyper inflated demand on GPUs, rather than on the real price tag of the GTX 1060. Plus, we still got to see whether the $224 is a real number. Okay, we all agree that the absence of display outputs is a huge downside. Once the GPU mining gold rush is over, no one will be able to re-sell their MSI P106-100s and get part of their money back. This fact negatively affects the ROI of the card. Besides that, this Miner edition of the GTX1060 is expected to have shorter warranty period, which is not a good thing either. It is almost certain that the warranty for the MSI P106-100 will be only 1 year instead of three. However, there are pros too. First of all, the MSI P106-100 will probably be more accessible than the GTX 1060 because fewer people will want it. If you do your math right and choose the right coins to mine, you might still be able to profit with this new GPU. The MSI P106-100 is not an ASIC, which means that you will be able to use it with any upcoming GPU-friendly algorithm. There are new ICOs every day; no one said that we won’t have a new GPU mining rush anytime soon. The second and most important pro is that the MSI P106-100 should be more durable than their gaming counterparts. Thanks to their enhanced dual-bearing fans and dust-resistant cooling system, the MSI P106-100 is designed to function 24/7 for months non-stop. I hope you found the hashrate review useful. Thanks to Cryptomined we can now have numbers rather than mere speculations. It is really good that people get ways to get their hands on gear that is still got to be released, so we can have a better outlook on what is coming next. Nvidia RTX 2080 (Ti) Available for Preorder Now!